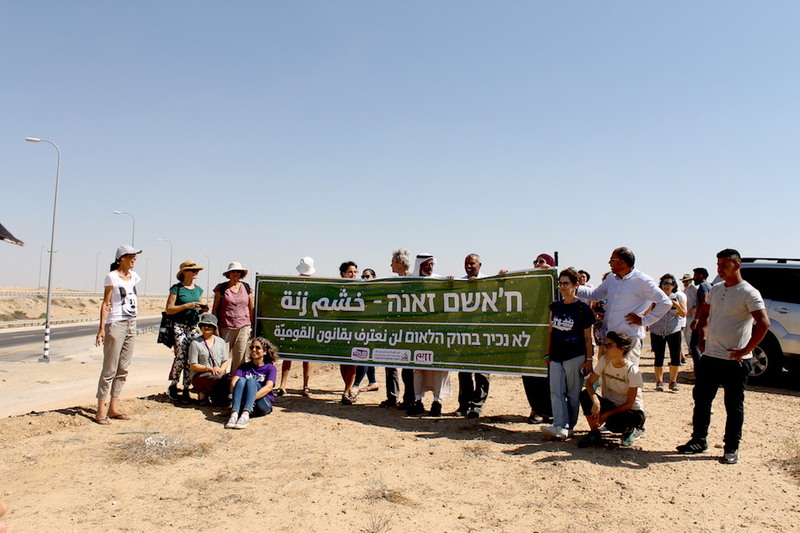 50 minibuses shuttled voters in the Negev from villages to voting stations far away. Nearly 200 Israelis joined a video call with Gazans. When the Central Elections Committee was in its session, we demonstrated outside the Knesset. 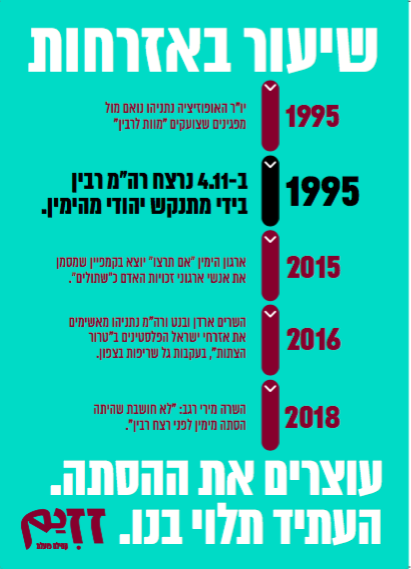 Last week, more than 14,000 members of Zazim called for all party heads to disqualify the Kahanists and to work towards Jewish-Arab partnership in the Knesset. We brought those voices to the Elections Committee. When the local bus to the Barzilai Hospital in the city of Ashkelon arrives at the hospital gates, something horrifying happens: private security guards board the bus and seek out the Arab passengers. On Friday, March 1st, roughly 200 participants took part in our special tour we organized with Breaking the Silence. A lead-in to the upcoming elections, the tour also marked 25 years to the Baruch Goldstein massacre in Hebron. 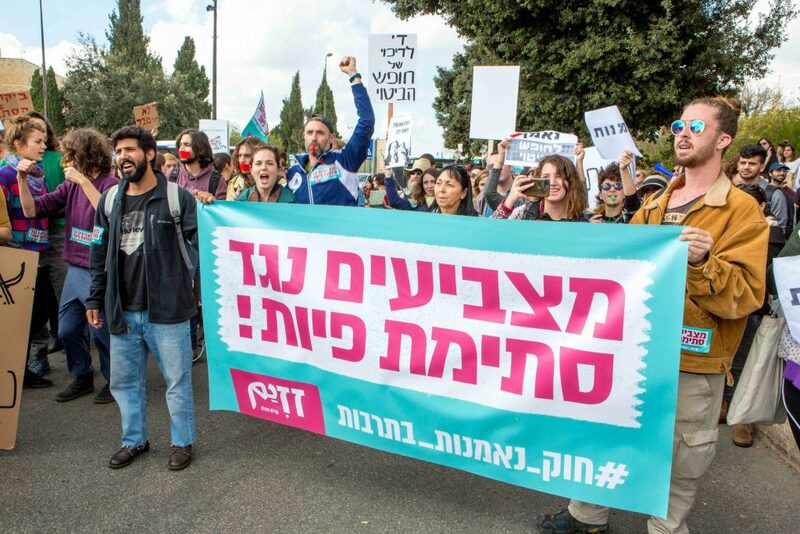 Yesterday morning, we came to Yair Lapid’s house to demand him not to let the spin of the extreme right succeed: Kahane’s racial supremacism has nothing in common with the demand for equality of the Balad-Raam and Hadash-Taal parties. Women and men from across the country, Arabs and Jews, are saying enough – and demanding government action to end the epidemic of violence against women. 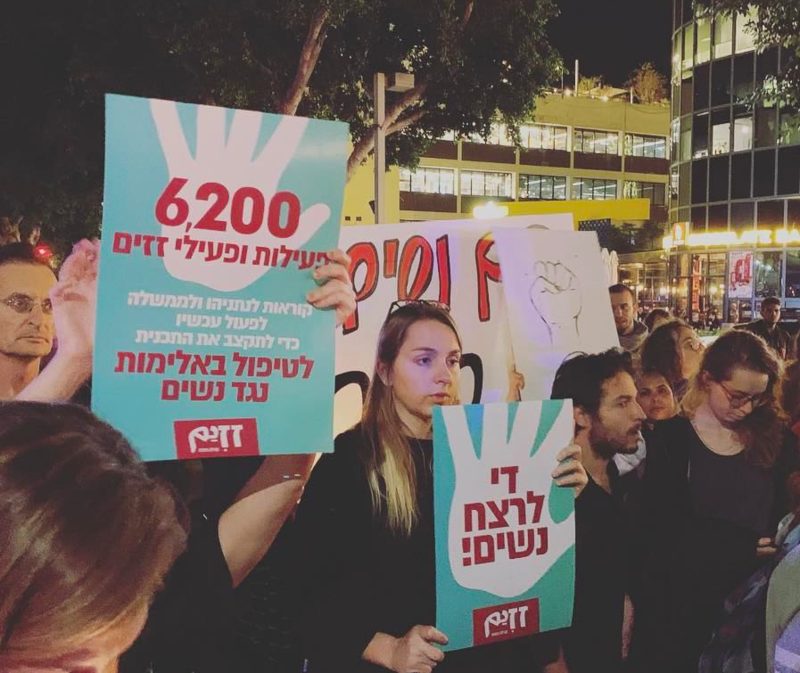 In the past few days, over 10,000 Zazim members called on key Knesset Members to vote against the anti-democratic “loyalty in arts” bill. We refuse to stay silent while the right-wing government rewrites history and continues to encourage violence and hatred. Fighting for equality and against the Nation State law.